The previously reported decline in age-adjusted hip fracture rates in Norway during 1999–2008 continued after 2008. The annual number of hip fractures decreased in women and increased in men. Norway has among the highest hip fracture incidence rates ever reported despite previously observed declining rates from 1999 through 2008. The aim of the present study was to investigate whether this downward trend continued through 2013, and to compare gender-specific trends in 5 year age-groups during three time periods: 1999–2003, 2004–2008, and 2009–2013. All hip fractures (cervical, trochanteric, and sub-trochanteric) admitted to Norwegian hospitals were retrieved. Annual age-standardized incidence rates of hip fracture per 10,000 person-years by gender were calculated for the period 1999–2013. Time trends were tested by age-adjusted Poisson regression. From 1999 through 2013 there were 140,136 hip fractures in persons aged 50 years and above. Age-adjusted hip fracture incidence rates declined by 20.4 % (95 % CI: 18.6–20.1) in women and 10.8 % (95 % CI: 7.8–13.8) in men, corresponding to an average annual age-adjusted decline of 1.5 % in women and 0.8 % in men. Except for the oldest men, hip fracture rates declined in all age-groups 70 years and older. The average annual number of fractures decreased in women (−0.3 %) and increased in men (+1.1 %). During the past 15 years, hip fracture rates have declined in Norway. The forecasted growing number of older individuals might, however, cause an increase in the absolute number of fractures, with a substantial societal economic and public health burden. 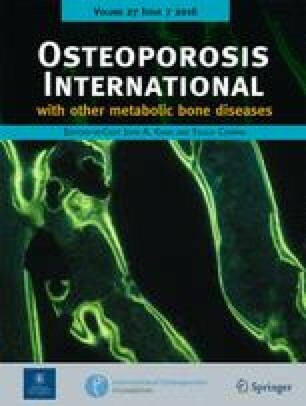 The authors are deeply grateful to Tomislav Dimoski (The Norwegian Knowledge Centre for the Health Services), the Statistics Norway and the staff at the Department of Pharmacoepidemiology (Norwegian Institute of Public Health) contributing to the collection and encryption of the hip fracture data. 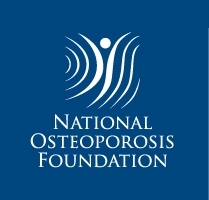 NOREPOS (The NORwegian EPidemiologic Osteoporosis Studies) is a collaboration between epidemiologic osteoporosis studies, which are sub-studies within large population-based surveys in four districts of Norway (Tromsø, Nord-Trøndelag, Hordaland, Oslo). The NOREPOS Hip fracture Database (NORHip) includes all hospitalizations for hip fracture in Norway. Conception and design: AJS, KH, HEM, GST, CGG, NE, GG, SF, BS, and TKO. Analyses and interpretation of data: AJS, KH, HEM, and TKO. Drafting: AJS, KH, HEM, and TKO. Critically revising the paper: AJS, KH, HEM, GST, CGG, NE, GG, SF, BS, and TKO. Final approval of the version to be published: AJS, KH, HEM, GST, CGG, NE, GG, SF, BS, and TKO. The study and the linkages of data were approved by the Regional Committee for Medical and Health Research Ethics, the Norwegian Data Protection Agency, the Directorate of Health and Statistics Norway.